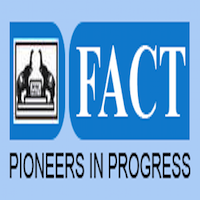 Applicants who have completed ITI, Diploma or equivalent from a recognized Institute for FACT Recruitment 2019. Eligible & Interested candidates can apply via online in Official website page at www.fact.co.in FACT Recruitment 2019. Diploma candidates should register themselves in the online web portal of Board of Apprenticeship Training (www.mhrdnats.gov.in) under ‘Student’ category. ITI / ITC candidates should register themselves under Apprenticeship Registration in the online web portal of Regional Directorate of Apprenticeship Training (www.ncvtmis.gov.in / www.apprenticeship.gov.in).